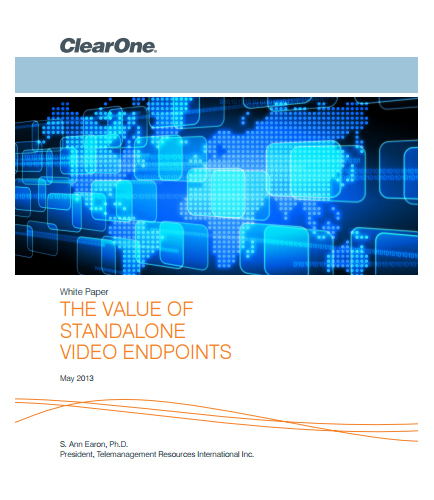 "Deployment and usage of video conferencing systems"
Standalone video endpoints are now available to allow organizations to grow their adoption of video conferencing and offer easy to use, full-featured, technology. These systems are designed for small and medium-sized organizations or for secondary sites of larger enterprises. The concept of standalone endpoints marries well with the BYOD (bring your own device) trend and can reduce cost and complexity for SMB (small/medium businesses) and secondary sites for larger organizations.